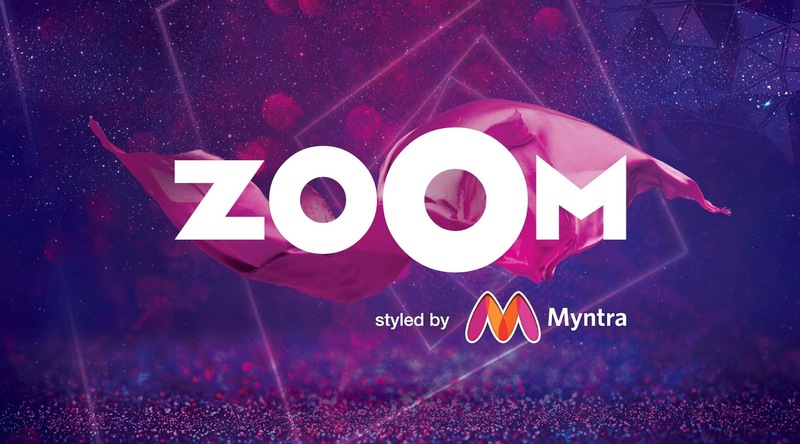 Mumbai, India: Zoom, part of the Times Network announced one of the biggest-ever brand partnerships in the television history in India, with the country’s leading online fashion e-tailer, Myntra. Starting @9p.m. tonight, (April 19, 2018), Zoom will unveil its new avatar ‘Zoom Styled by Myntra’, making a transition from being just a TV channel to a platform agnostic entertainment destination. With an improved style quotient inspired by Myntra and engaging storytelling, infused with a whole new look & feel, new shows, brand new web-series, short formats and exclusive experiences, Zoom will be India’s one-stop youth entertainment destination. The new logo and packaging reflects style, vibrancy, happiness that is symbolic of the channel’s target audience. Offering unrivalled entertainment for more than a decade now, Zoom aims to reset the dial with reenergized content across all platforms and take the viewer experience to even more unrivalled heights. Myntra has always been a game changer and stretched its boundaries on innovation and value creation for its consumers. Together, Zoom & Myntra will create a new chapter in the fashion space in India. With ‘Zoom styled by Myntra’, viewers will see fresh new faces, stylised looks and latest trends from Myntra, rising stars, the best of Bollywood and popular music.